If only we could buy and find time to read all the books we wish to read! Blessings to you this Sunday! I purchased "Passionate Housewives, Desperate for God" by Jennie Chancey and Stacy McDonald over a year ago. I don't even know how I got the email ad for the book. I figured it must have been though something else I had signed up for. Apparently God works even through emails. That was something I wasn't aware of. The book was just coming out and for promotion, it was only $7. The description intrigued me and I figured, "$7? What do I have to lose?" Well, except for the $7. When it arrived I think I set it aside to read at a later date. After all, there isn't much reading going on around here unless it's a book geared towards ages 6 and under. Once I did finally get a chance to open it and start reading, I was hooked. I "passionately" read the pages every day and by the end of the book I had multiple new feelings. My first was of deep conviction. This book plainly tells it like it is with no foo-foo and frills to make you "feel good." 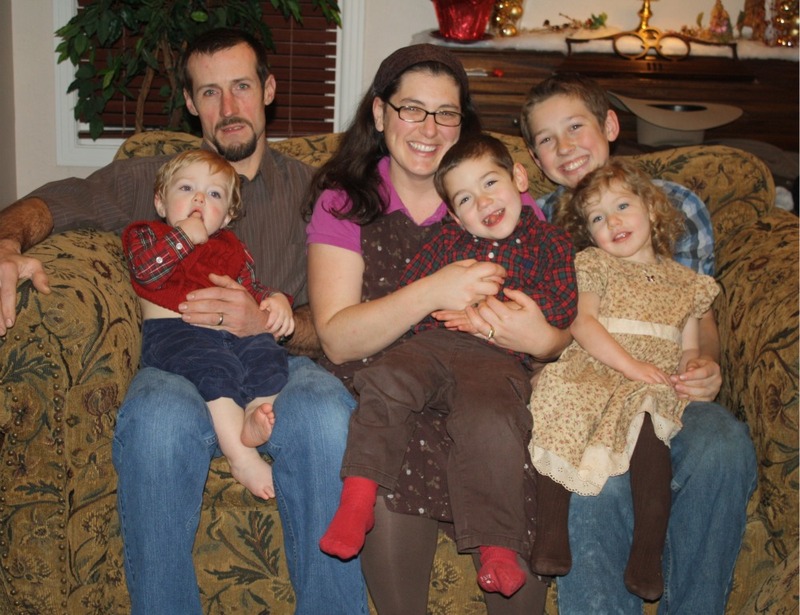 It shares God's plan for mothers and homemakers. It's calls out all the women who are so caught up in "me" time and other "priorities." My next feeling was of pure joy! I thought, you mean to tell me that the desires of my heart are truly God's plan for me? That the way I have been thinking all along, those gut instincts and maternal feelings are right? And the world is wrong? Yep. Praise God! "Have you struggled to reconcile God’s vision of virtuous womanhood with worldly myths that marginalize and mock the role of the homemaker? Do you wrestle with cultural messages that demean the homemaker’s calling and exalt instead the emotionally androgynous power-woman — the wife whose worth is measured only by the degree of her ambition, the shape of her body, or her money-making skills? Such is the image of the “desperate housewife” that the modern media, culture, and feminism are promoting with great energy. In a delightfully fresh and honest way, this book addresses these issues head-on and provides fresh vision for the hopeful homemaker. Hear a former “Christian” feminist share how she went from a die-hard homemaker-in-training to a dedicated career woman and then back again — after God gripped her heart. See the hollow counterfeit of whitewashed feminism and “me-ology” destroyed. And consider the beautiful picture painted in Scripture of the truly fulfilled homemaker who glories in the hopeful calling God created for her." I honestly wish that ALL mothers could read this book and learn from it. It is certainly a book that I will read again and again, gleaning the truths that it presents each and every time! For 1 entry, please leave a comment below; any kind of comment is fine. Winner will be drawn randomly by Random.org on or around the 30th. Vision Forum sells this book, in case you can't wait to see if you've won! I purchased this book to giveaway with my own money, it's not a promotion through them. I honestly believe in this book and it's message and I know it will be an uplifting encouragement to the woman who reads it! A few years back I purchased 34 Fat Quarters from Maywood Studios from their Bull! collection. I'm not going to do anything with these though. My original plan for them didn't work out and so I want to sell them. I purchased them wholesale for $40.00 and would like to sell them for that price + shipping. The fabric is out of print and has been for some time. 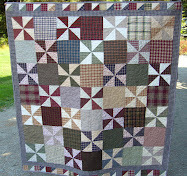 There are quite a few online quilt shops that still have the fabrics though. You can see samples of the collection here. FQs are in new, unwashed condition. If you're interested please email me at mountainhomequilts@charter.net. Thanks! "Country Wisdom and Know How" Winner! Happy New Year, Thanks for the offering. May you have a blessed year! Mica/The Child's Paper........is our winner! Congrats! Email me at mountainhomequilts@charter.net with your information and I will get the book out to you! Stay tuned for the next book giveaway. I'm thinking I'll put a post up for it at the end of this week. The book? 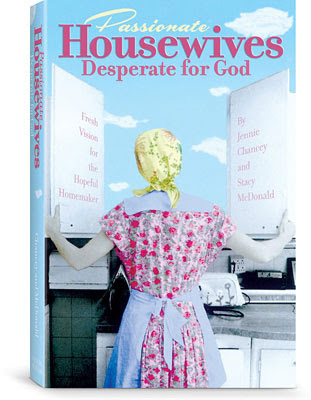 "Passionate Housewives, Desperate for God" and man, is it a GOOD book! One of my most treasured hobbies in the winter is reading. I don't get to do a whole lot of it sometimes but when I do, it's a simple quiet moment that I love. Before Spring hits I'd like to share with you some of my favorite books! So over the next few months I'll be giving away books with topics such as homesteading and being a Godly wife, to name a few! If you haven't already, make sure you enter the "Country Wisdom and Know How" book giveaway in the post below. Happy reading! Happy New Year to you all! I pray that God blesses you abundantly this 2011! December has been a super busy month for us and I, obviously, only blogged twice the entire month! 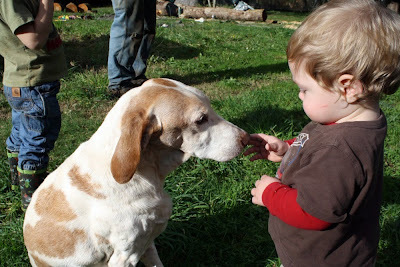 Here's a quick re-cap of what went on at our homestead in December. We started the month finding our tree and getting ready for Christmas. We gave away a lot of handmade gifts this year which included canned goods, like applesauce and jams along with homemade soaps. 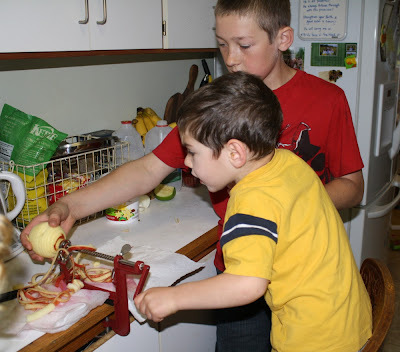 The older boys love to help make applesauce. I think it's the peeler/corer tool. If you don't have one of these, invest in one and watch your children enjoy helping with ever last apple! 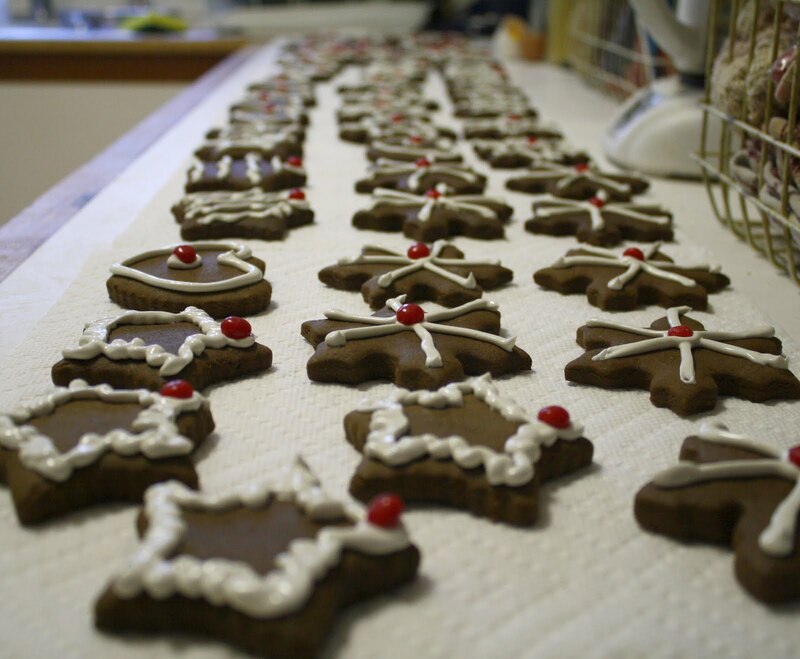 We also spent a lot of time baking. Seriously. On our holiday baking list this year were, Gingerbread cookies, peppermint brownies, raspberry jam thumbprint cookies, peanut butter and chocolate truffles, mexican wedding cakes, cranberry snow candy, black bottom cupcakes and yes, more gingerbread cookies! 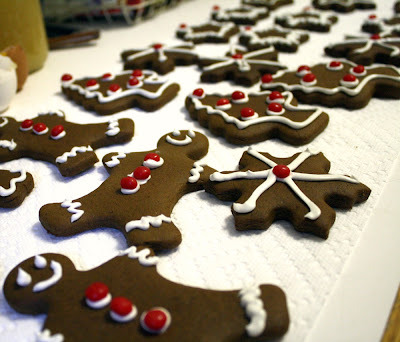 We even had a day where we decorated gingerbread with some friends. Our animal count, here on the homestead, dropped by three this month. One was unplanned and sad, the other two were planned and worked out great. The first, unplanned one was having to say goodbye to one of our dogs. 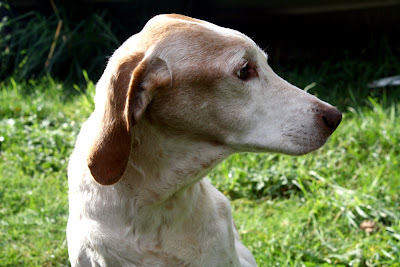 He was 13 and I'd had him since he was 6wks old. 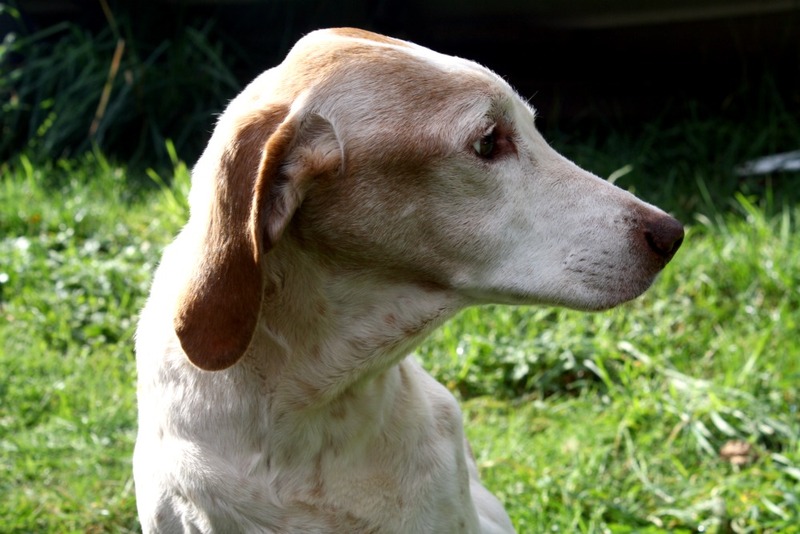 We had found out in October that he had bone cancer in his left foreleg. Just before Christmas he was barely walking and we decided that it was time to put him down. My eyes still well up at the thought of that day but I am glad that he is out of pain now. Our two other planned losses were a rooster (we had two and only have 8 hens!) and one of our hogs. After butchering the turkeys last month, I have to say this chicken was CAKE! It went super fast and easy. Maybe starting off with a big bird is the way to go- it makes everything else seem like child's play. We ate him (our first home raised chicken) 2 nights later. While he was young, (only about 7months old) his thighs were a little tough but everything else on him was great. Since he was a Buff Orphington, his breasts weren't as large as you'd find on a meat chicken but still turned out all right. Our hog experience was slightly.... a mess. I'll spare you the details and any photos. This was our first home raised, home butchered hog. 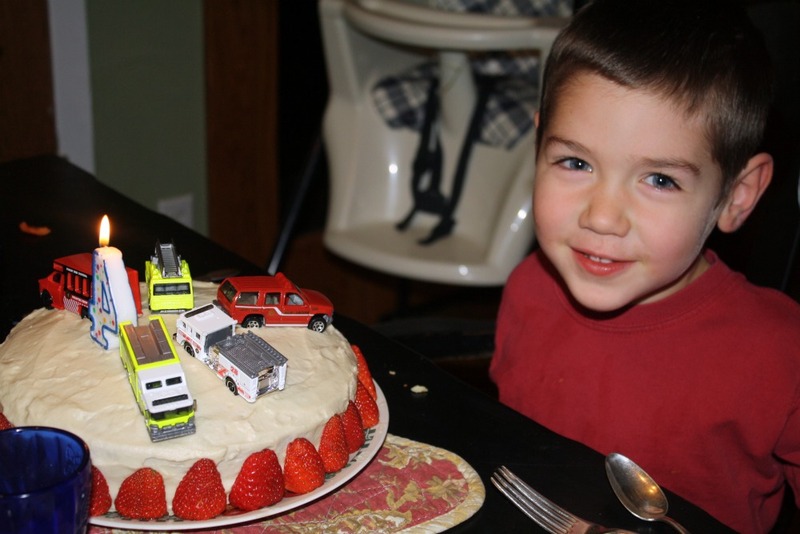 Gavin did it on one of the worst days of our most recent storm. We'll be butchering our other hog at the end of January. Hopefully the weather will be better and the process will go more smoothly. I'll share shots of that one later. But for now, there's one hog in the freezer! A special little someone turned 4 this month and we also celebrated both my Dad's and my MIL's birthday. 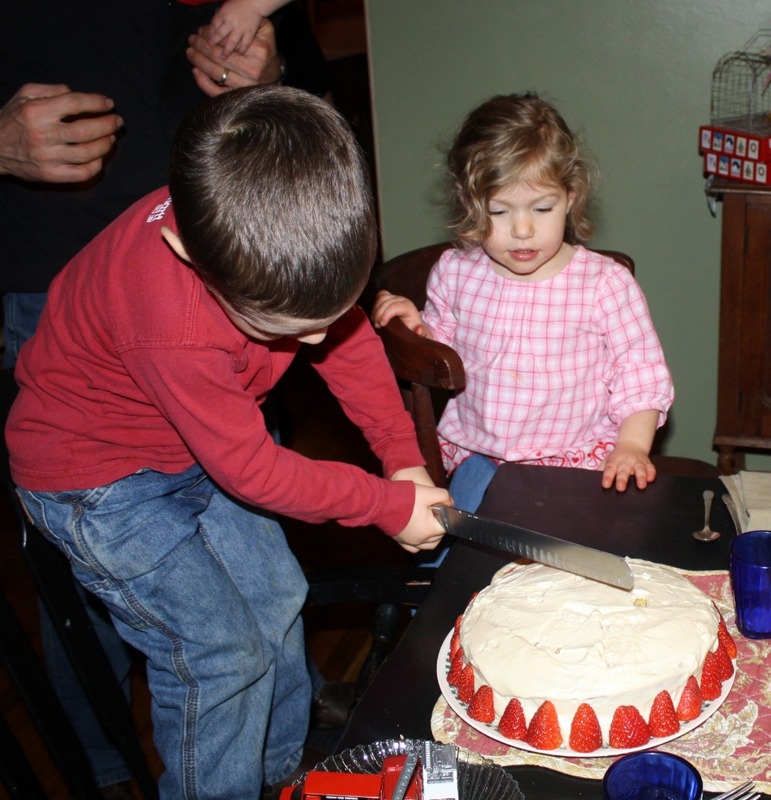 Layton is a big boy now so he gets to cut his own cake! He was thrilled to get his very fist gun this year. A Daisy pellet gun. He's been out back shooting a couple times a week trying to improve his aim. For just turning 4, I'd say he does pretty well. 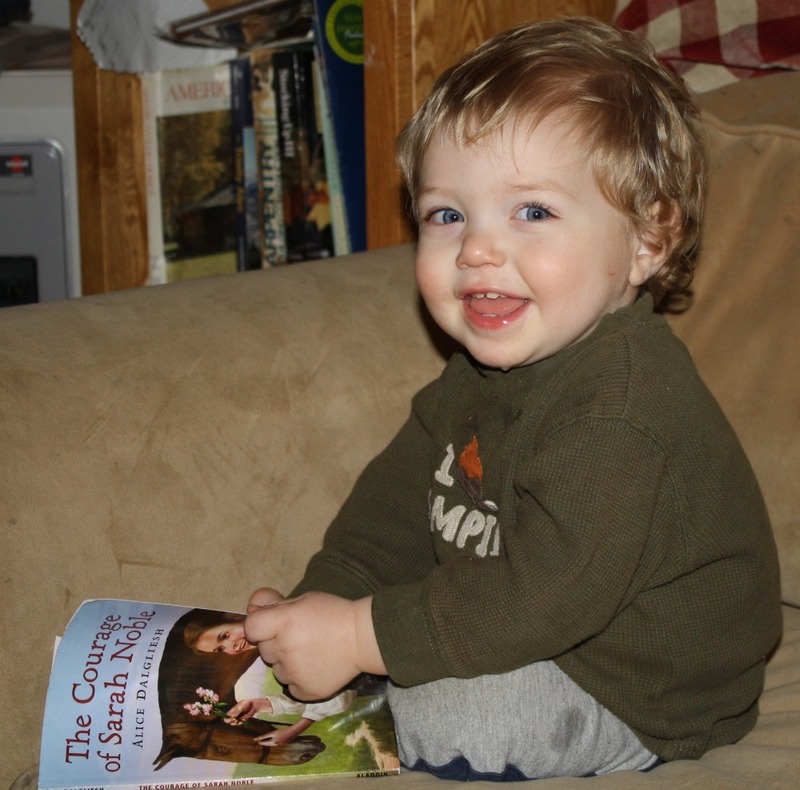 Mason has taken to reading all the books he can get his hands on. Well, maybe not really reading, but at least pretending to. We read through "The Courage of Sarah Noble" as a family in the evenings. While it is a book geared towards 3rd or 4th graders, even my 8th grader was eagerly waiting to hear "what happens next" each night. Christmas was a blessing. We enjoyed the time together as a family and of course, attempted to snap another family picture. Ya know, one where everyone is smiling at the same time and all looking at the camera? This one didn't turn out too bad I suppose. Here's a brief description: "Reminiscent in both spirit and design of the beloved Whole Earth Catalog, Country Wisdom Know-How is an unprecedented collection of information on nearly 200 individual topics of country and self-sustained living. 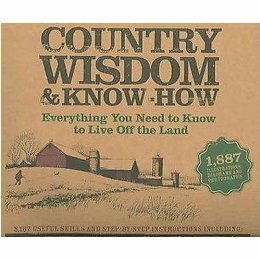 Compiled from the information in Storey Publishing's landmark series of "Country Wisdom Bulletins," this book is the most thorough and reliable volume of its kind. Organized by general topic including animals, cooking, crafts, gardening, health and well-being, and home, it is further broken down to cover dozens of specifics from "Building Chicken Coops" to "Making Cheese, Butter, and Yogurt" to "Improving Your Soil" to "Restoring Hardwood Floors." Nearly 1,000 black-and-white illustrations and photographs run throughout and fascinating projects and trusted advice crowd every page." Winner will be drawn randomly by Random.org on or around the 16th.